A new version of SimSketch has been uploaded, and as usual it can be started via Java webstart here. In this version, we are publishing a first version of SimSketch-game. You can find and start it in the “examples”-menu. 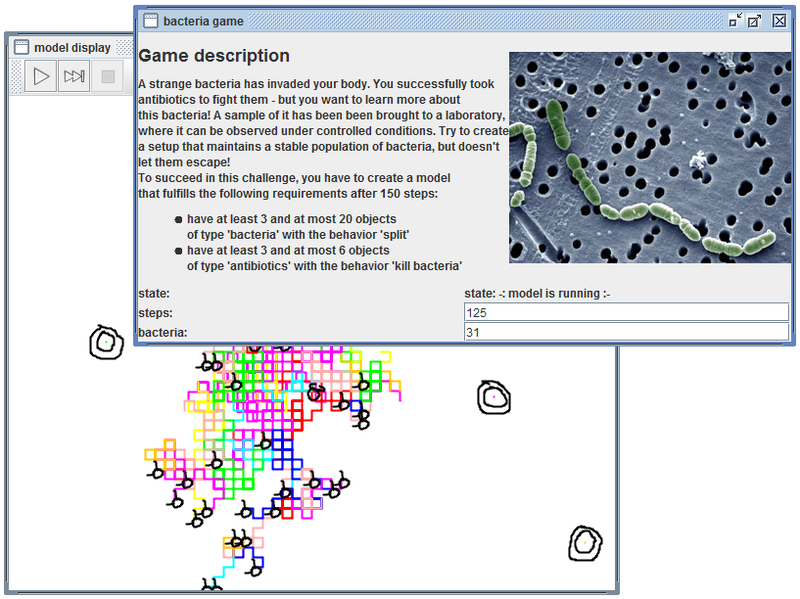 In this little game, you have to try to find a “stable” configuration of reproducing bacteria and antibiotics. We hope you like it! Stay tuned for more sketching&modelling games and new features! This entry was posted in biology, simsketch, simulation. Bookmark the permalink.